Roasted vegetables is probably the easiest side dish you can make. 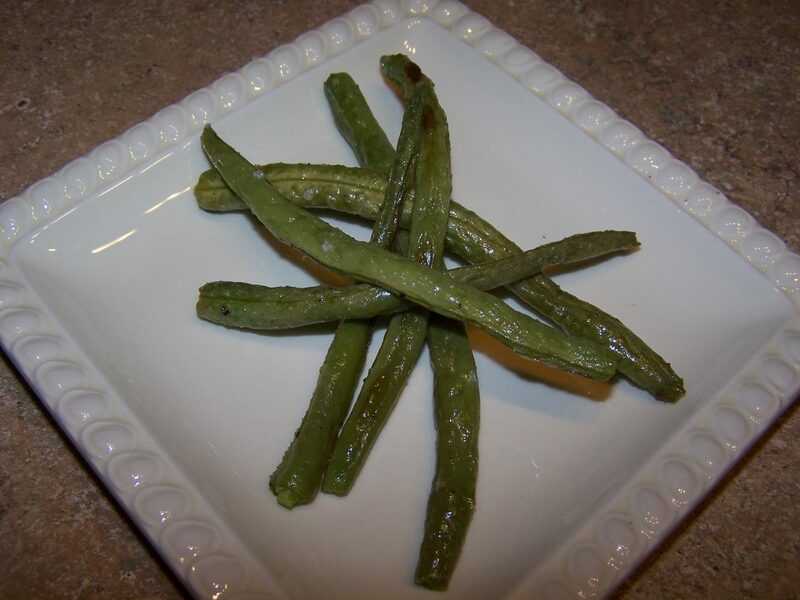 Toss the green beans in olive oil and season with salt, pepper and garlic. Roast on a baking sheet until browned, about 25 minutes. I like green beans this way. great plate too!